Chita is one of those Siberian cities like Novosibirsk that seemingly arose overnight with the coming of the Trans-Siberian Railway in 1900. Yet in fact, it was founded more than two centuries before. Located at the confluence of the Chita and Ingoda Rivers, the site of contemporary Chita attracted the attention of the Siberian pathfinder Peter Beketov, who made a small winter camp on the Ingoda in 1653. The first permanent settlement, established in the late 1670s, grew very slowly due to the harsh conditions. Although a few Cossacks, trappers, and fishermen were resettled to the fort in the 1690s, their presence did little to stimulate development. For the next century, the Chita settlement remained a secondary link in the administrative and transportation system in the vast territory beyond Irkutsk and Lake Baikal. Chita’s one landmark from the 18th century, the log Church of Archangel Michael, was originally built in 1705, shortly after the Chita settlement was elevated to the status of “fort” (ostrog). After a fire, the church was rebuilt apparently twice in the 1770s. Its patron was one Yevgeny Gurkin, a merchant from distant Solvychegodsk in the north of European Russia. The Archangel Michael Church is a good example of traditional wooden Orthodox architecture, with an octagonal bell tower in the west. The central structure culminates in an octagonal drum and low dome. The church’s excellent state of preservation owes much to its reputation as the church of the Decembrists, a reference to the Chita exile of some two-dozen participants in the failed uprising against Nicholas I in December 1825. During the Soviet era, the church was converted into a museum devoted to the Decembrists and their time in the Chita area, a function that it maintains to this day. Indeed, Chita during the 19th century became identified with Siberian exile culture, particularly after 1851, when Chita became the administrative center of the Transbaikal Territory and headquarters of the Transbaikal Cossack Troops. In his book “Siberia and the Exile System,” American writer and diplomat George Kennan described a number of meetings in the fall of 1885 with Chita’s political exiles. The idea of Chita as a place of exile was bolstered with the arrival of Mikhail Khodorkovsky in 2005. Although the town struggled along before the Trans-Siberian railway was built, its arrival in Chita in 1900 resulted in a substantial increase in building, further accelerated by the completion of the Chinese Eastern Railway in 1903. This railroad, negotiated as part of an 1896 defense treaty with the Chinese, allowed the Russians transit across Manchuria, and thus much shorter access to Vladivostok and surrounding territories along the Ussuri River. As the nearest major settlement to the junction between the Chinese Eastern Railway and the still uncompleted Trans-Siberian, Chita seemed poised to play a commanding role for Russian presence in the Far East. The population of Chita in 1900 was approximately 12,000, but in 1914, the authoritative Baedeker guidebook gave the population as 73,000 – an extraordinary rate of growth driven by railroad expansion. This increase was accompanied by the turbulence that afflicted Russia generally at the beginning of the 20th century. Following a series of military failures in the Russo-Japanese War and triggered by the massacre of demonstrators in St. Petersburg in January 1905, Chita, like many areas of the country witnessed an outbreak of strikes and armed rebellion. In Chita, this uprising culminated in a short-lived “Chita Republic, which lasted from December 1905 to Jan. 22, 1906, when it was suppressed by military force. Like other Siberian centers, Chita recovered quickly from the turmoil of 1905-1906, and a number of apartment buildings, hotels, offices and department stores arose over the following decade. Photographic views of the town in the early 20th century show large buildings, often with art nouveau decorative flourishes, arising from streets of dark Siberian muck. The original station building, which was constructed in 1899-1903 and features Beaux Arts neoclassical details, has been partially preserved. The architecture of central Chita is still defined by these structures, many of which followed the styles of Russia’s major cities such as St. Petersburg. A number of private houses from the period have also survived in eclectic, often fanciful, decorative styles. In comparison with older urban centers along the main route to Siberia, Chita had few significant examples of church architecture. In 1899, the foundation was laid for a masonry cathedral dedicated to St. Alexander Nevsky, a ponderous neo-Byzantine structure completed in 1909, but demolished in 1936. Indeed, so ruthless was the Soviet destruction of Orthodox churches in Chita, that from 1944 the one remaining active Orthodox parish met in a wooden church built in 1898 for a Catholic parish. In 2001, work began on a new cathedral dedicated to the Kazan Icon of the Virgin. Chita also had flourishing Muslim and Jewish communities, both of which built large houses of worship at the turn of the 20th century. The proclamation of Soviet power at the end of 1917 led to severe repression in the area, and when the forces of Cossack ataman Grigory Semenov seized Chita in August 1918, segments of the population endorsed his authority. Furthermore, the pro-Japanese Semenov was supported by a Japanese military contingent. Semenov’s power was marked by brutal misrule, and during the course of 1920, Bolshevik troops drove his forces from Chita. New authority lay in the Far Eastern Republic, formed in April 1920 in what is now Ulan-Ude and headquartered in Chita from November 1920. Pro-Soviet in orientation, the republic served as a buffer to Japanese military operations in the Far East. Following the withdrawal of the Japanese, the Far Eastern Republic was merged into the newly formed Union of Soviet Socialist Republics in 1922. 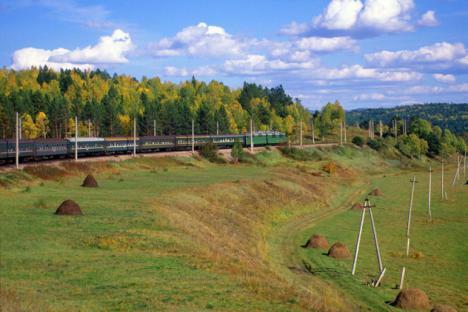 During the Soviet era, Chita reverted to its status as another provincial capital, albeit with strategic military significance by virtue of its position in the national railway system and its proximity to the Manchurian border. In the late 1930s, a few showcase structures were built, such as the Regional Building of Russian Army Officers (1939-1940), whose massive form in the Stalinist neoclassical style signified the importance of the military establishment in the city. The past half-century has contributed little of note to the architecture of Chita. As the administrative center of an enormous area now referred to as the Trans-Baikal Territory, Chita has considerable potential. Rich in natural resources (gold, uranium) and well located in relation to China, the city has prospects for development that could contribute to the preservation of its diverse architectural heritage, created a century ago by the great Siberian railway.